Our standard rooms are between 14 m2 and 16m2 and are available from 78€ per night. Our spacious rooms are designed to make you feel instantly at ease. The pleasant setting of our complex in the heart of Provence provides a sensation of calm and freedom. All our bedding is from SIMMONS : synonymous with quality, long-lasting, hypoallergenic mattresses. 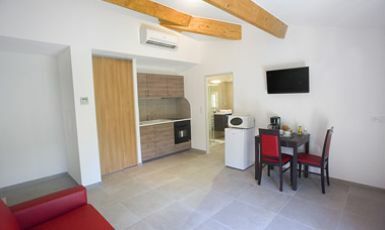 Our standard rooms are available with twin beds (2 x 90cm), or one large bed (180cm). 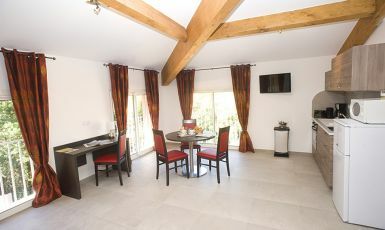 Would you like to make the most of our excellent value standard rooms during your stay in the Var? 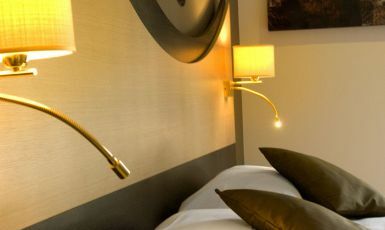 Our booking system will give you the real time availability of our standard twin or double standard rooms.